Last week the team at Kivells Auctioneers sold over 15,000 lots at the 10 auctions which took place the 7 day period. At both Exeter and Holsworthy markets, trade for the Breeding ewes improved well with the best younger ewes to 160 and the top call for the Ewe lambs reaching 92. Earlier in the week it was the 'Westcountry Rare Breed' sale which attracted over 1,200 animals and were sold to buyers from all parts of the South of England. As always, the popular Devon 'Red Ruby' cattle saw tremendous interest with the part dispersal on behalf of Chris Bulled of Barnstaple topping the day at 1,200 and the best of 36 White Park cattle from West Cornwall up to 850. Also last week Kivells sold over 1,000 lots of farm machinery with the very best to 19,000 at one of the three farm dispersals throughout Devon and Cornwall. 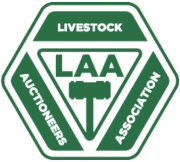 Despite challenging times for Dairy farmers, the trade for Dairy cattle at our auctions has remained strong with many of the 1st quality Heifers selling between 1750-1850 with the very best close to the 2,000 bracket. Away from the livestock sales, our straw sales have started off quite well with most of the Standing Straw between 50-60 per acre and Baled straw trading at around 18 per bale (delivered). The 1st of our Harvest festivals took place at Holsworthy market just a few evenings ago. We very much like to try and support our farmers and their families by working with the various farming charities and groups as well as other voluntary organisations both on a local and national level. Pleasingly in 2015 the Kivells Team have helped raise over £80,000 for good causes with still several events left to do. Finally we have just celebrated our 1st anniversary at our new Holsworthy market in North Devon and are delighted to hear that HRH Princess Anne will be visiting the auction site later in the year to officially open it. For any auctioneers thinking of looking at a new market, we say go for it! Be prepared for plenty of doubters, lots of setbacks and a few difficult discussions but just remember 'if you don't you won't, if you do, you might'.